The Karachi I grew up in was a city where garbage was picked up regularly. Swarms of jamadarnis (women sweepers) descended each morning to sweep the dusty streets in our neighbourhood in PECHS, picking up any plastic bags that the wind had blown overnight. Karachi Municipal Corporation (KMC) trucks came in to collect the garbage from the corner garbage bins regularly. The law and order situation was such that my grandmother (who I admit was a bit of a maverick) felt no fear in taking a rickshaw by herself. She was fearless and she’d hold out her hand at the end of the journey with change so that the rickshaw driver could pluck the correct fare from her himself. Roads constructed in the 1960s serve Karachi even till today. These roads include Shahrah-e-Faisal, the roads to Clifton and Defence, Rashid Minhas Road, the two main roads that serve as the arteries in Nazimabad, and the arteries connecting to the SITE area. The upkeep of these roads was also reasonable back in the day. Then, the deterioration set in. A lot of this had to do with the fact that the city seemed to grow faster than the production of services it required for its upkeep. However, a significant part of the problem was also the governance and accountability system’s deterioration, as the resources that were allocated ended up being pilfered by corrupt politicians. The same complaints are heard from our health and education sectors. However, a recent study by a Pakistani public policy expert at the Woodrow Wilson Institute in Washington has shown that the total amount of resources allocated for education at central and provincial levels in Pakistan is more than 85% of the total outlay on defence. Thus, obviously money is not the main problem in the delivery of services and this holds true for many developing countries where I have worked. I had stated in one of my previous blogs that one of the problems with Sindh is that it is the only province in Pakistan where a distinction has been made between urban and rural areas. An unintended consequence of this is that no matter how the urban votes are cast, the management of urban Sindh will always lie with the representatives of the rural areas, since the rural seats in the provincial assembly are more than those for the urban areas. Those who have the responsibility of addressing local issues for the urban areas have no interest in doing so, since their vote bank comes from the rural areas. The real solution lies in modifying the local governance system. By doing this, the political representatives of the people will be made responsible for all areas that affect the lives of the people living there. Necessary resources can be allocated to them once the issues are addressed. This continues to hold true today. When the Pakistan Peoples Party (PPP) took power again after the Pervez Musharraf era, it resisted holding local bodies’ elections. Subsequently, it made changes to the Local Government Ordinance that placed the control of local bodies in the hands of bureaucrats rather than politicians. PPP then took an order for the local bodies’ elections to be held from the Supreme Court. Finally, when a mayor was appointed after these elections, he found that the remit of the local government had been severely limited and that little or no resources were available to him to do his work. Coming back to the garbage problem, we were told that the provincial government has taken over this responsibility. On a TV show, Faryal Talpur stated that this issue will now be addressed by the PPP provincial government and a contract is being awarded to a Chinese firm for this. This was over six months ago. Now the citizens of Karachi really do not care who does it as long as a system of regular garbage collection and disposal is established. However, this has not happened as yet. When Sharmila Farooqi of PPP was asked about the garbage issue in a TV talk show, she said that these things take time. She said that the contractor has to mobilise, he has to submit his plan and then the government has to approve it and so on and so forth. In the meantime, the garbage heap continues to grow and the stink becomes unbearable. If one were to drive on the Baloch Colony Road in Karachi, one would notice the huge red-coloured garbage disposal units with Chinese branding that have been recently placed on the side of the road. 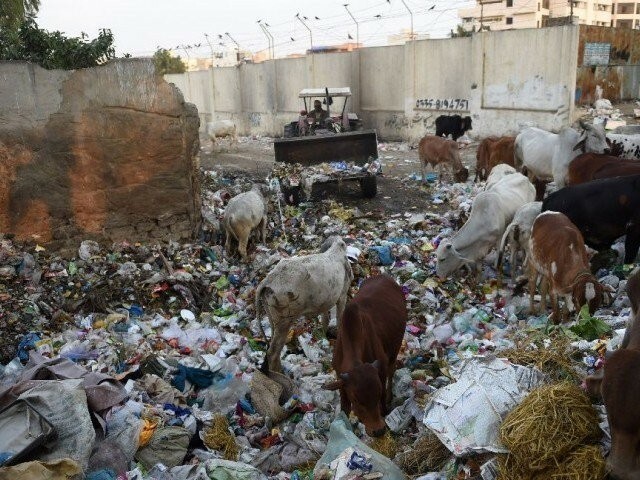 As much as the effort is to be applauded, the purpose has been futile since heaps of garbage is seen surrounding the disposal units, covering a chunk of the main road, as garbage collection services are nowhere to be seen. This can be gauged by the fact that the mountain of garbage keeps getting bigger and bigger as each day passes. This impasse brings out the structural problem I had mentioned at the outset and the solution is still the same. It is necessary that the remit of the local governments in urban Sindh are strengthened to include all areas related to service delivery and the law and order situation that affects the lives of citizens. The enhanced scope of local government responsibilities in Sindh is necessary to accommodate the aberration of the rural-urban divide that exists in the province. Moreover, resources allocated within the provincial budget for these areas should be divided in proportion to the populations of rural and urban Sindh in order for distribution to be even handed. Furthermore, it should be made sure that measures are incorporated into the system of disbursement of funds. These need to be done so that amounts allocated for the third tier would automatically be released by the provincial government without any hold from the provincial level. The management of districts should fall under the political parties who win the local elections for that district. This will further address the issue of district specific interests, be they political or ethnic. As stated in my earlier article, these solutions are party neutral. If we restructure the local governments in Sindh along these lines, we can expect progress irrespective of who controls these areas. In the past, devolution of resources to the lower levels was resisted by both the provincial government and ‘the establishment’ in view of the fact that Muttahida Qaumi Movement (MQM) controlled the vote bank in urban Sindh. Now that the party has been dismembered into three competing factions, it is no longer a given that a faction of the party would control Karachi. Other parties such as the Pakistan Tehreek-e-Insaf (PTI) and Jamat-e-Islami (JI) are likely to get a piece of the pie in view of the increasing ethnic diversity of Karachi. Perhaps it is time to allow the voters of urban Sindh and Karachi to decide their own futures. The problems of Karachi, which is the economic hub of the country, translate into serious problems for the national economy and for national security. Merely criticising the PPP government, as has been done by several articles, for the problems of Karachi will lead us nowhere. We must also address the structural problems pointed out above. 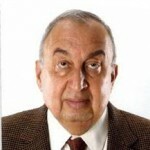 Dr Ali Hashim retired recently from the World Bank. He has extensive experience in Public Sector Management and has a PhD from the Imperial college of Science and Tech. language. No one can argue that. Kudos to him. May he keeps at it. suffer and will be the biggest slum in Asia.